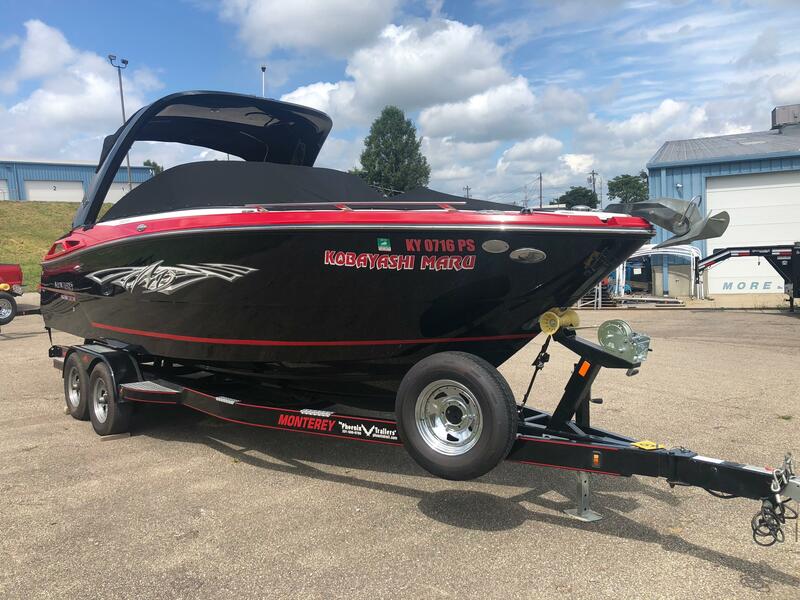 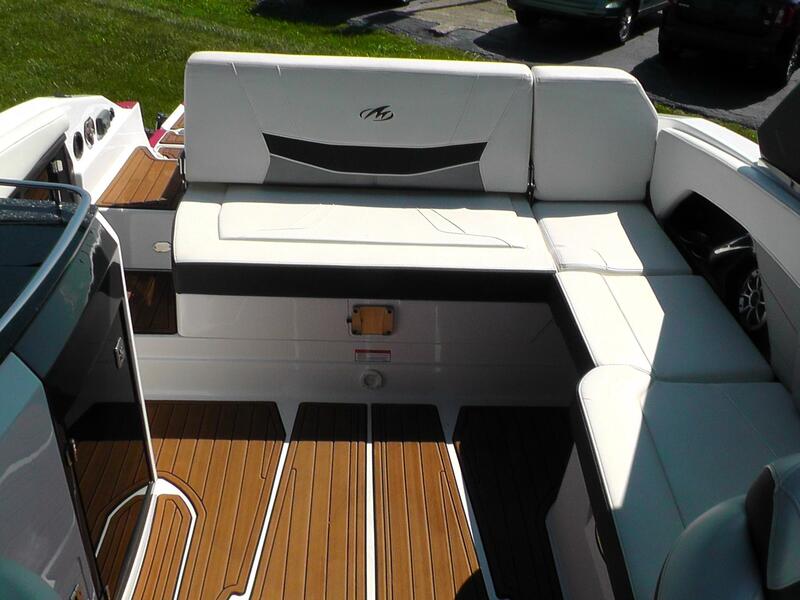 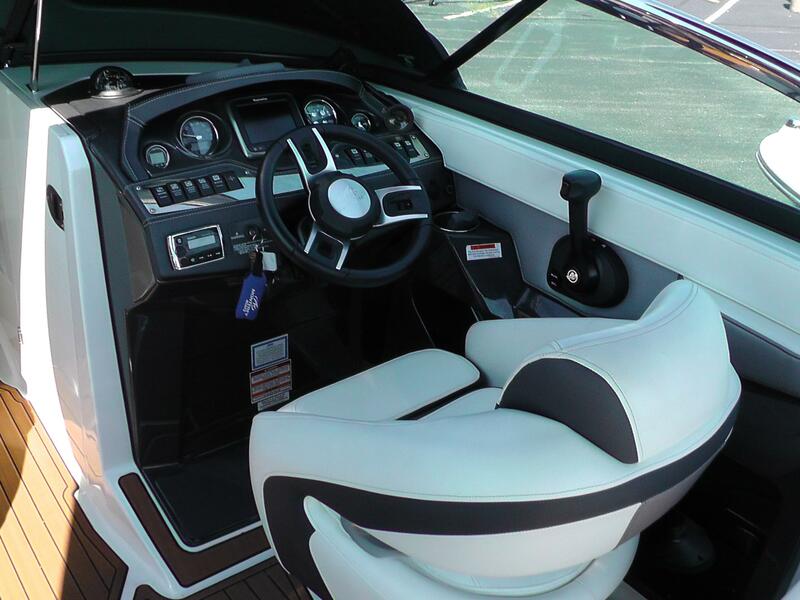 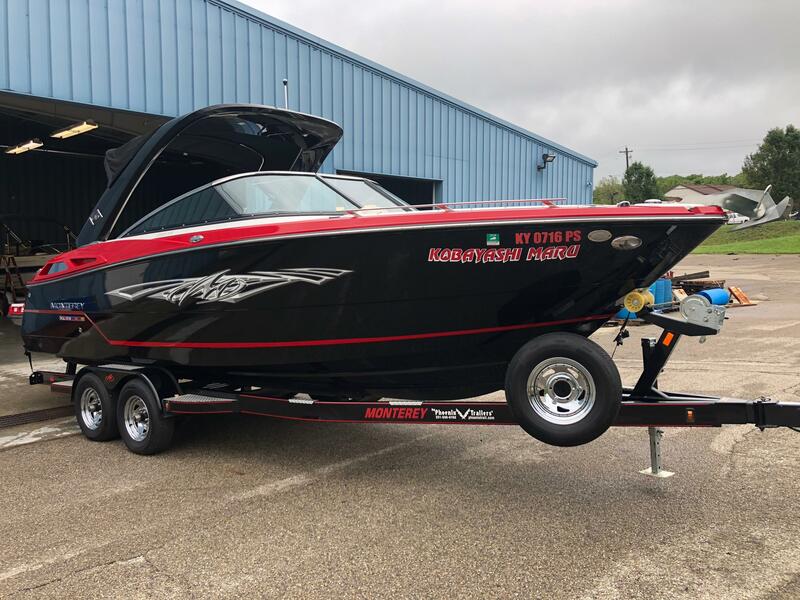 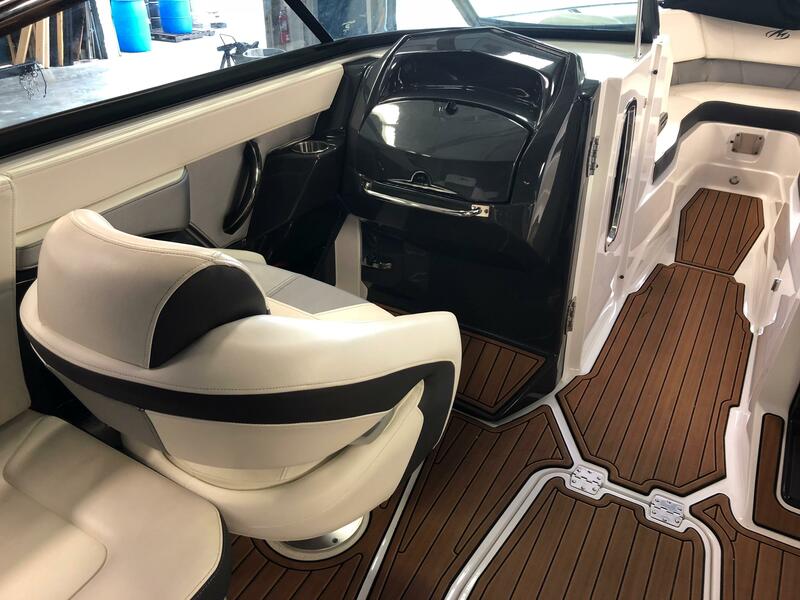 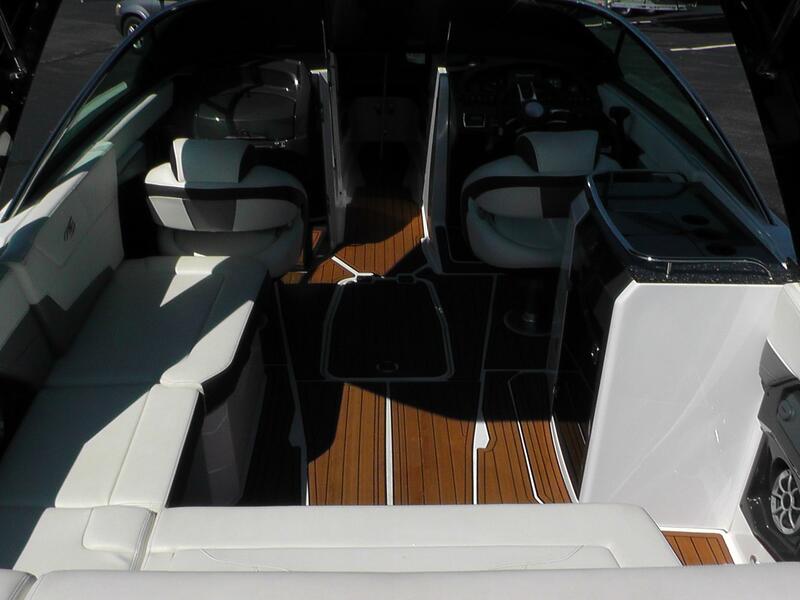 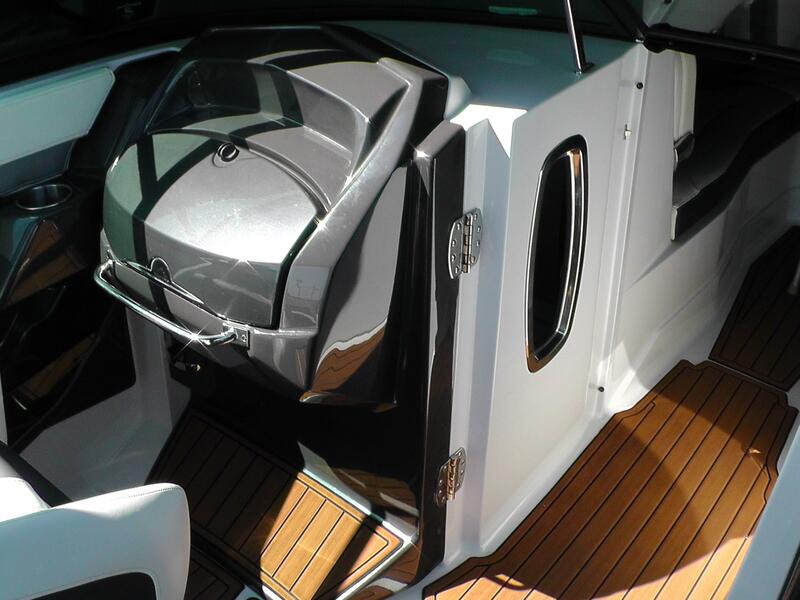 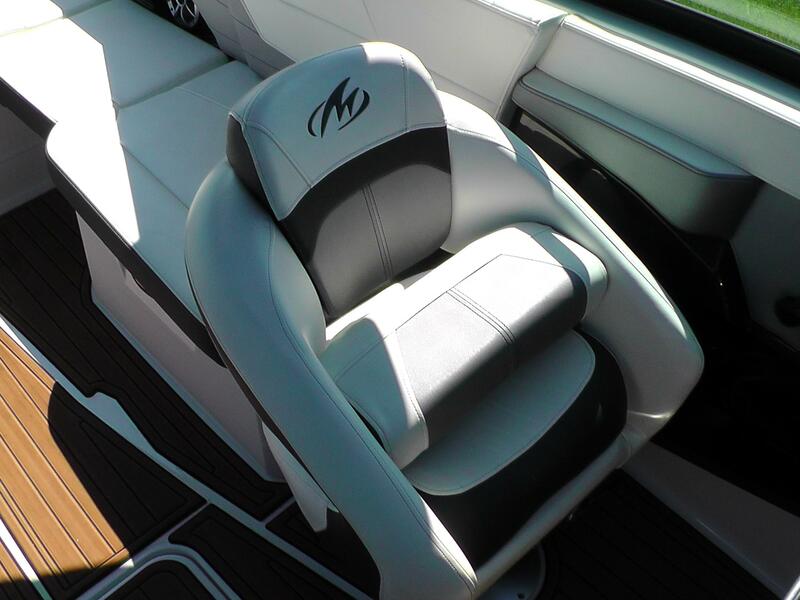 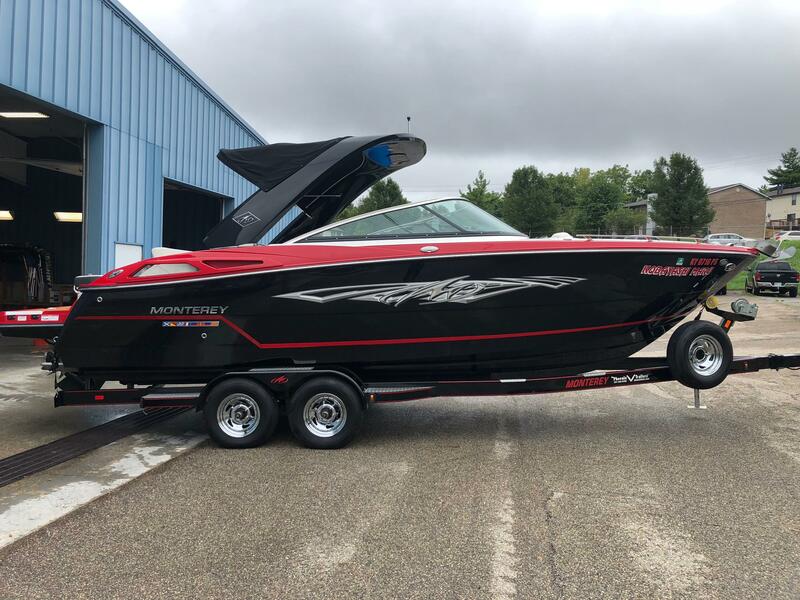 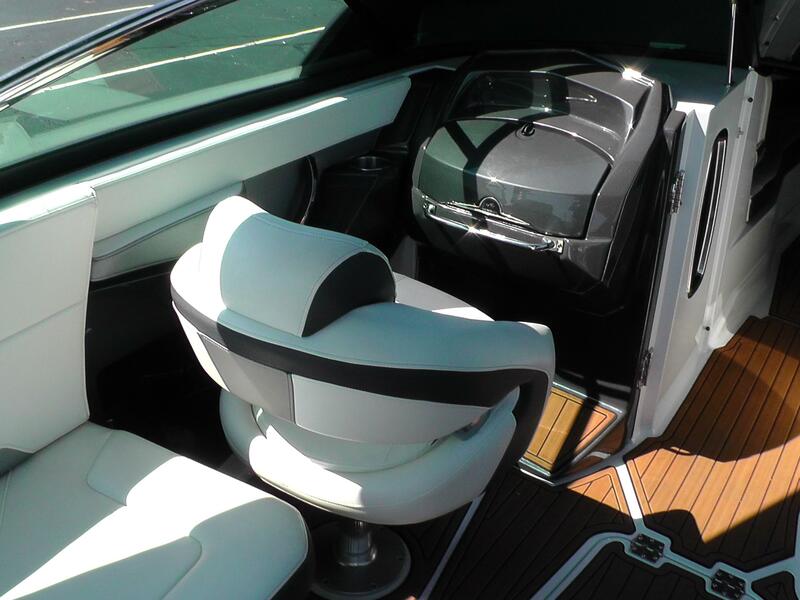 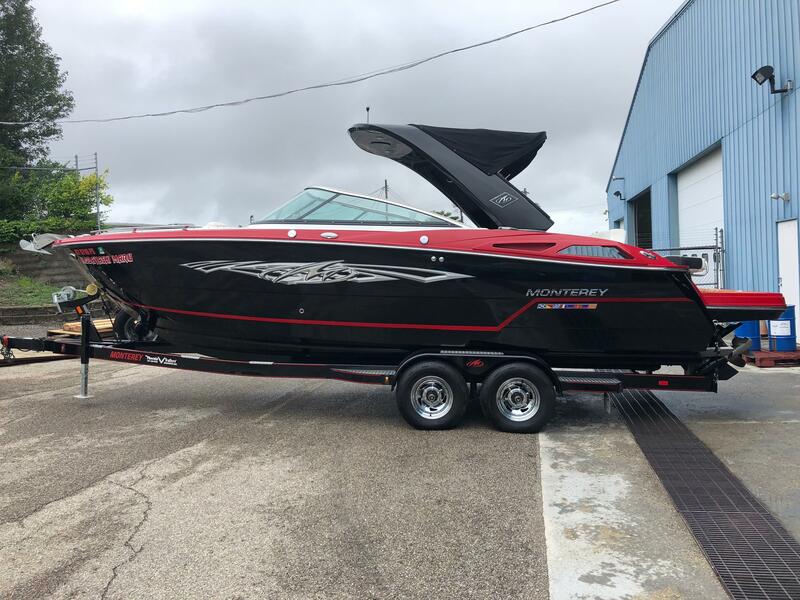 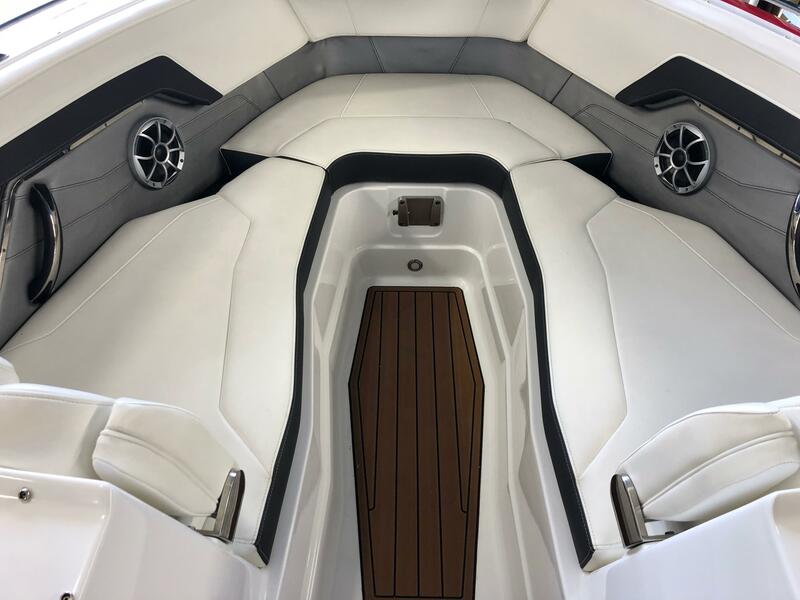 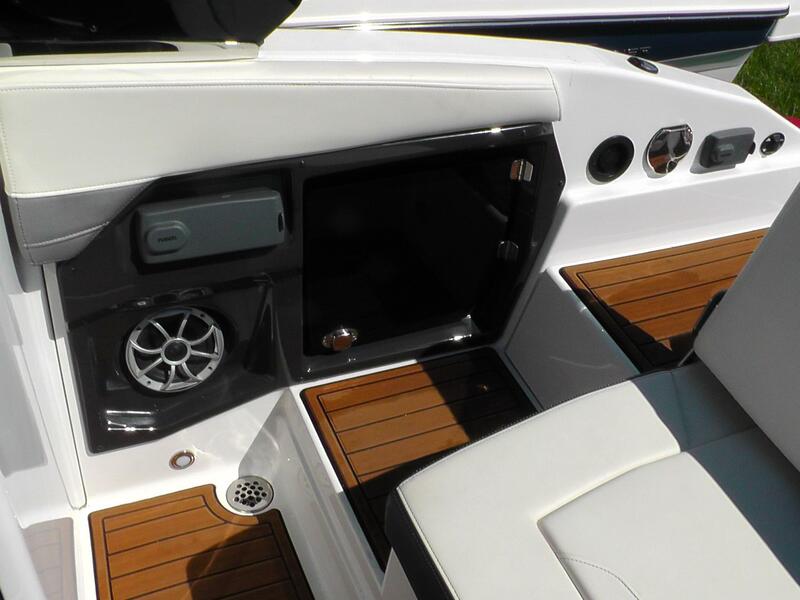 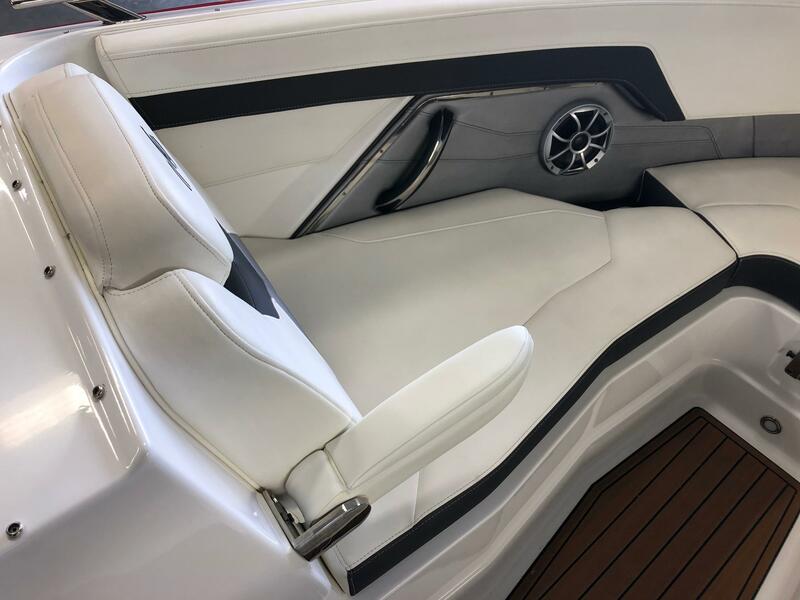 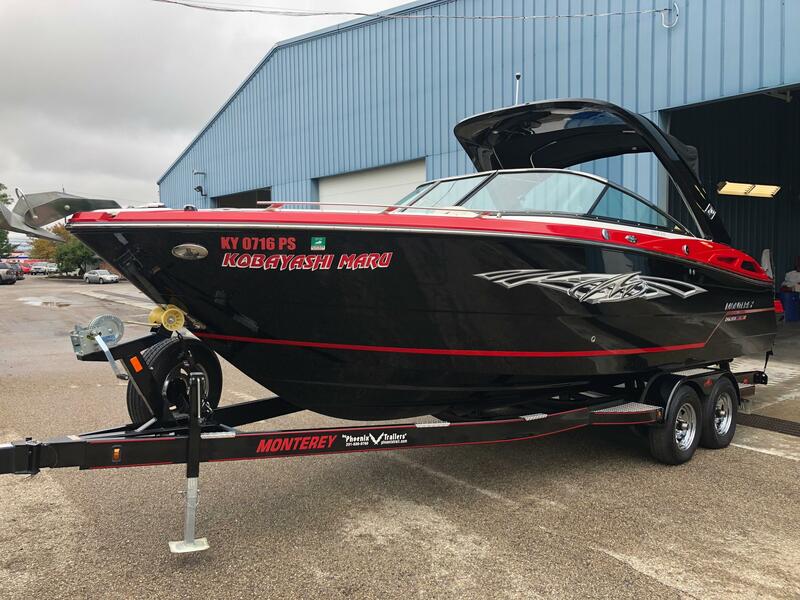 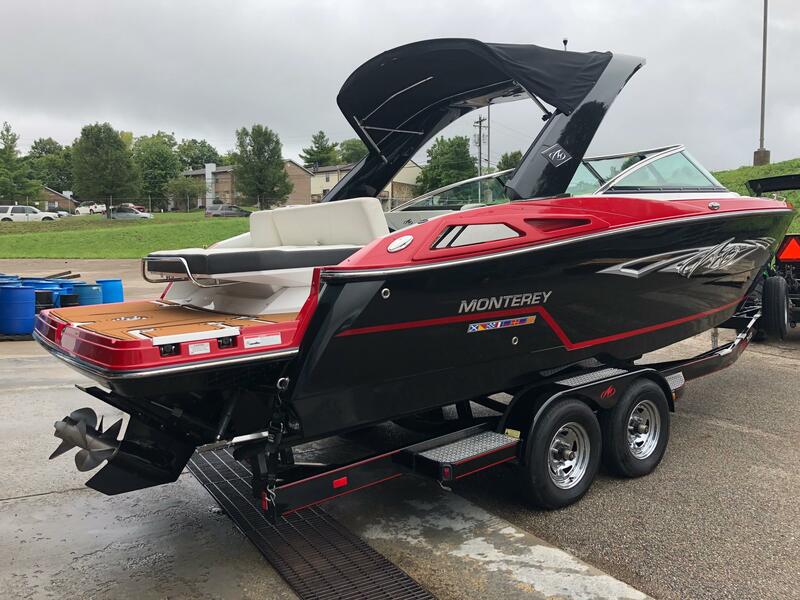 This 2015 Monterey 268 SS Bowrider features a gorgeous Rio deck and hull stripe complimented with an Onyx Hull and Hull Bottom. 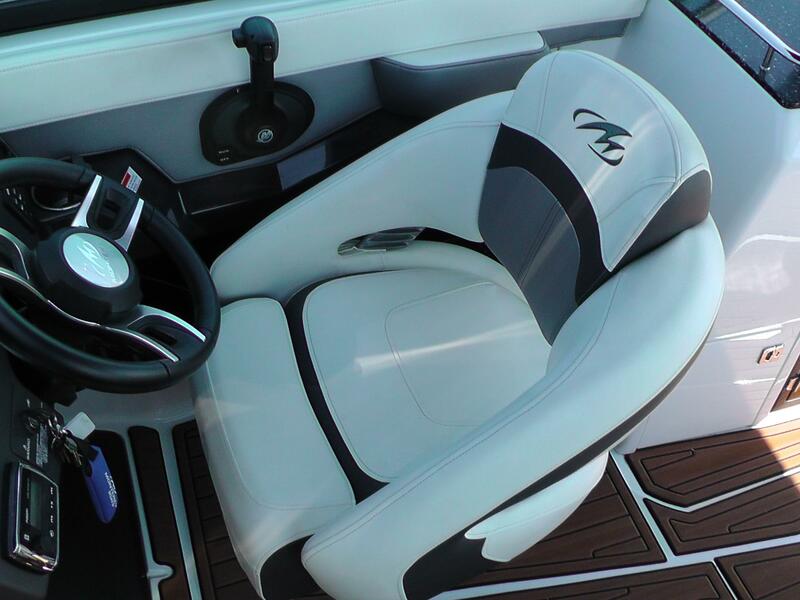 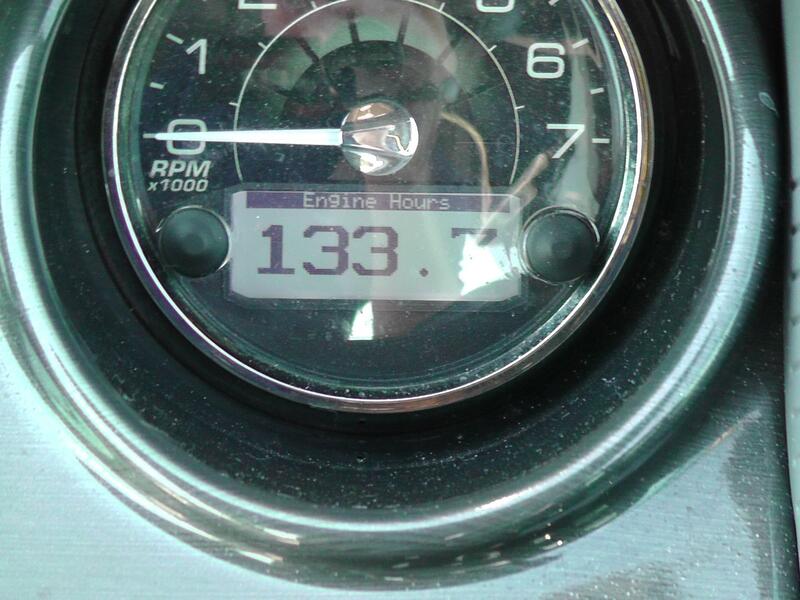 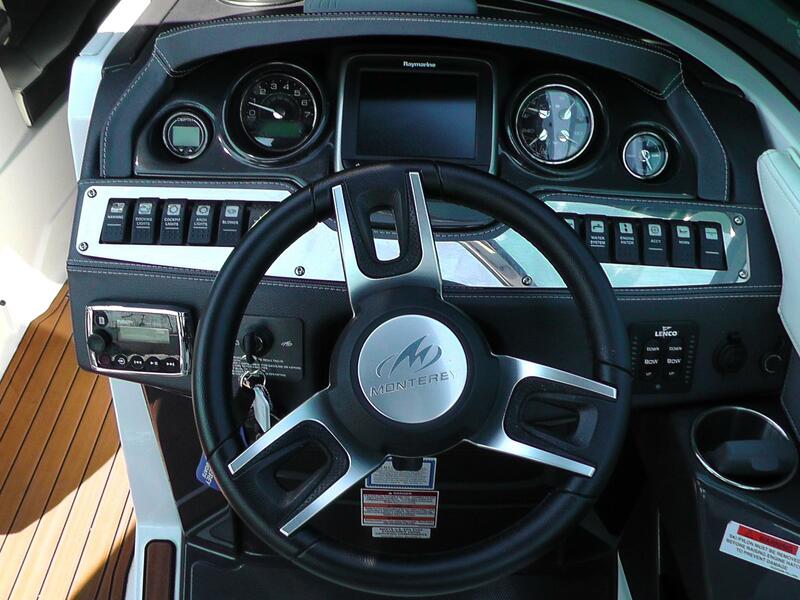 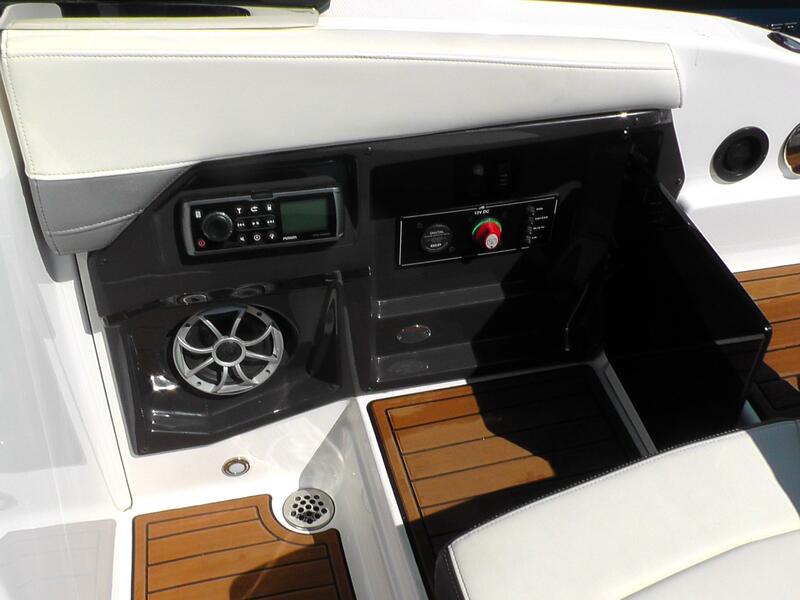 Powered by a 8.2L 380hp Mercruiser with a Bravo III outdrive. 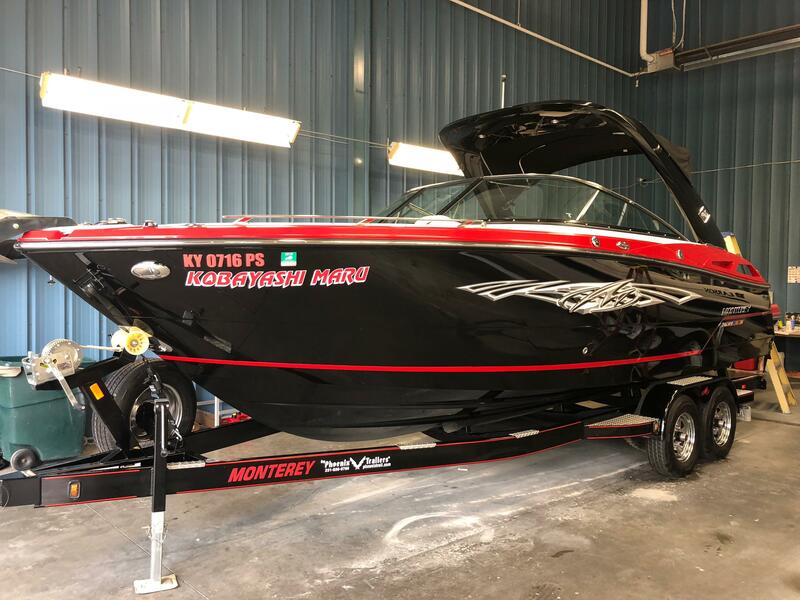 this Monterey is sure to turn heads! 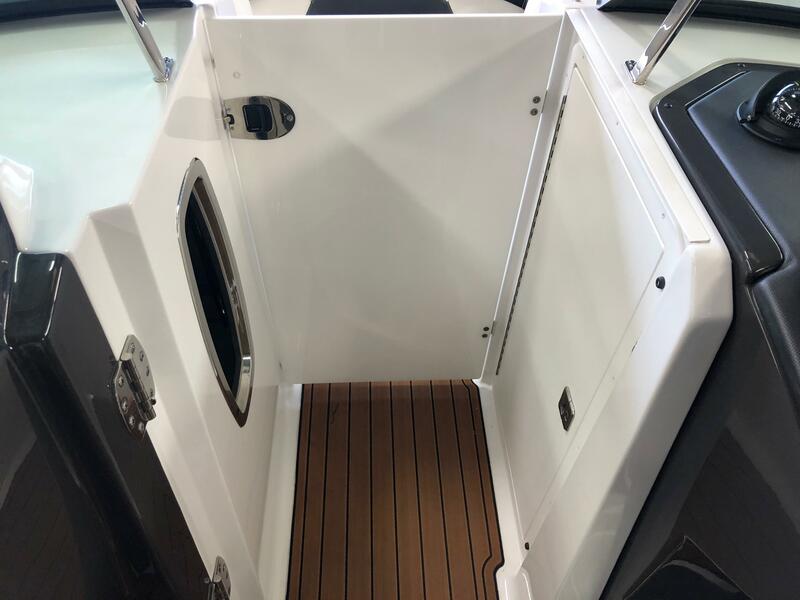 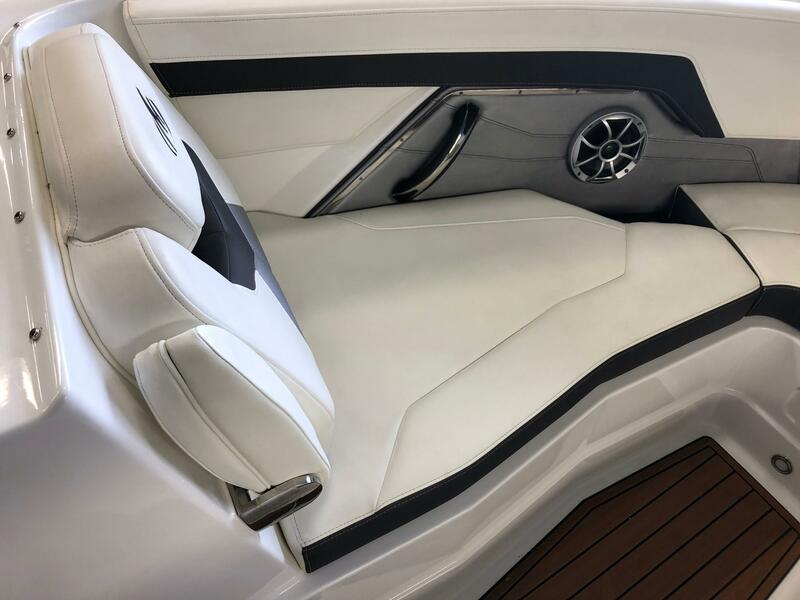 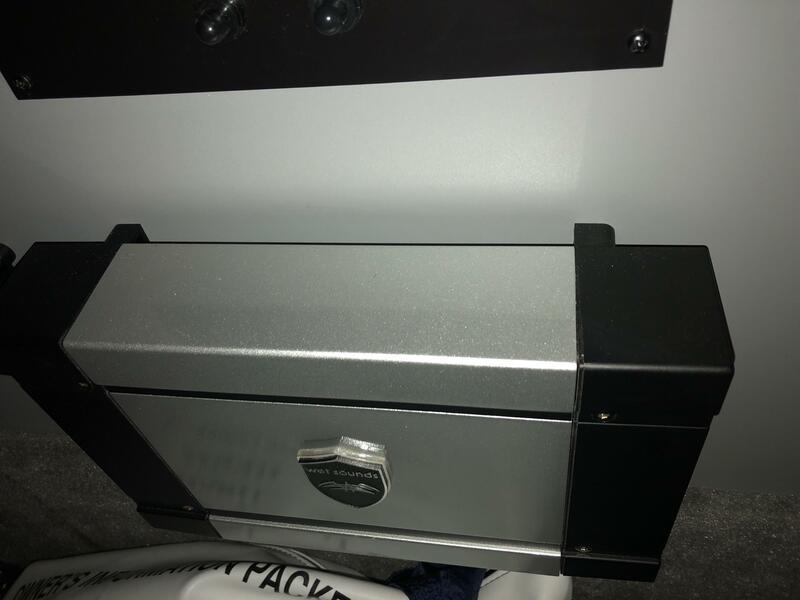 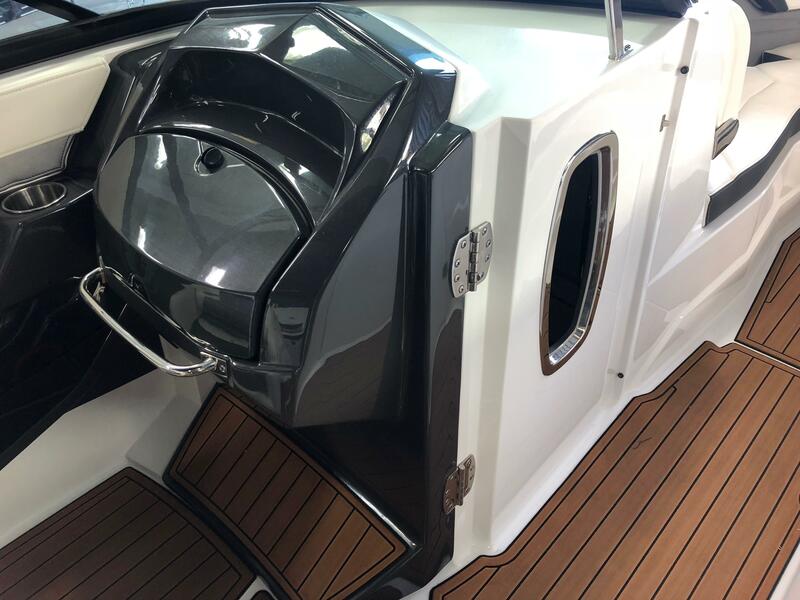 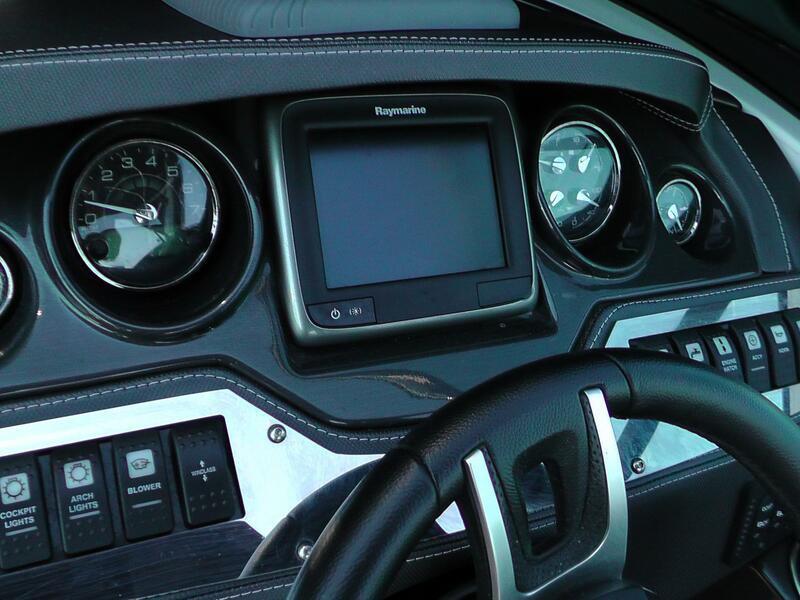 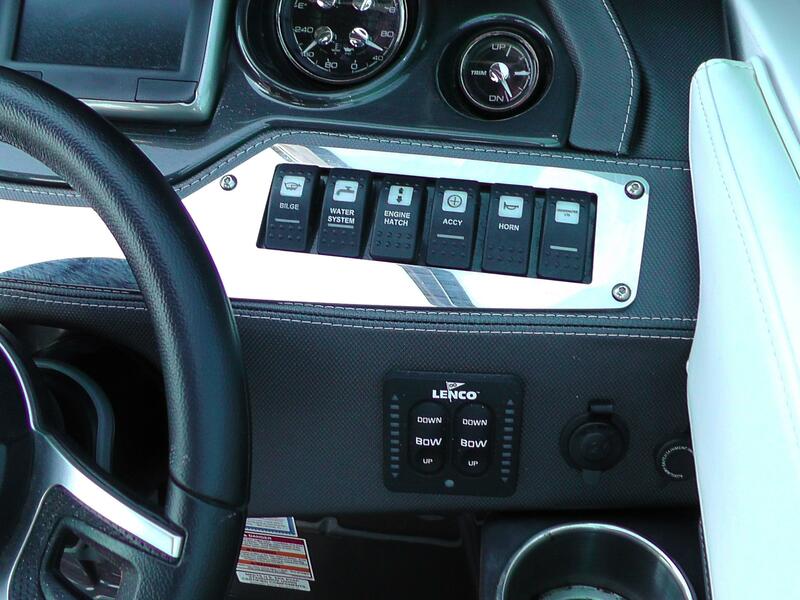 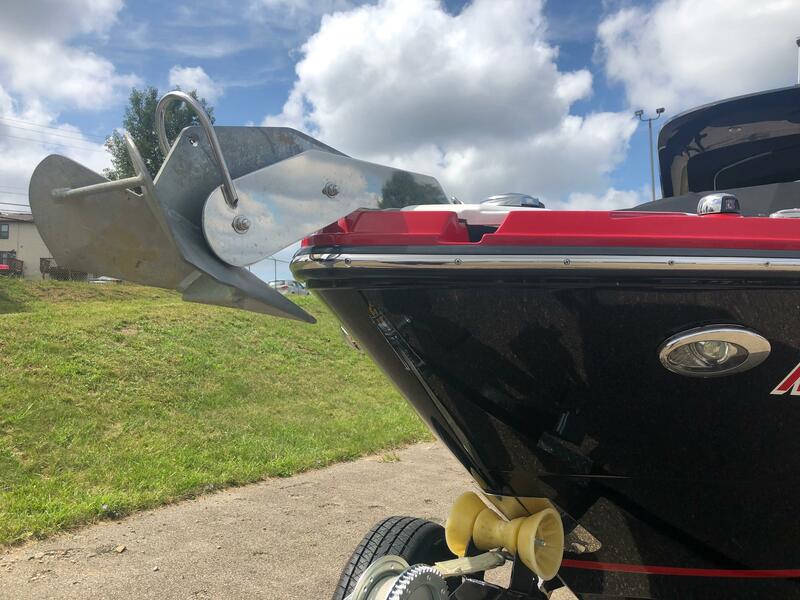 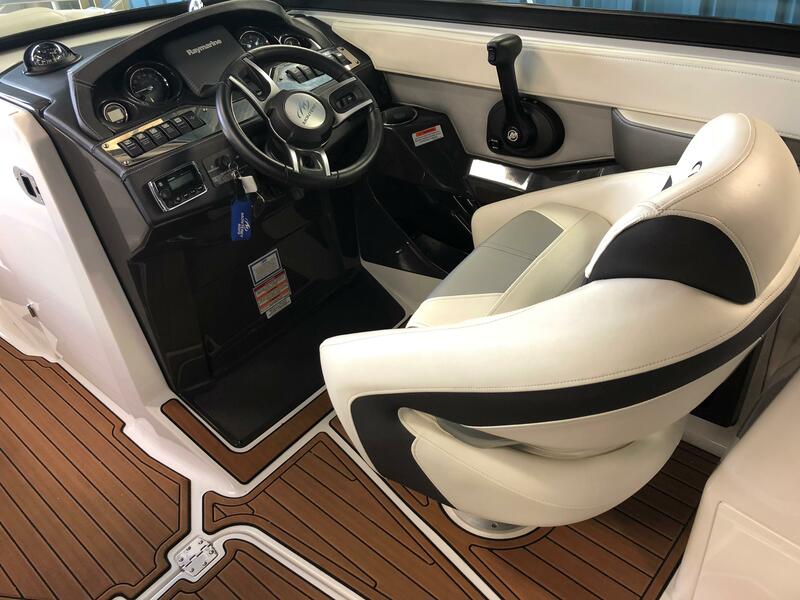 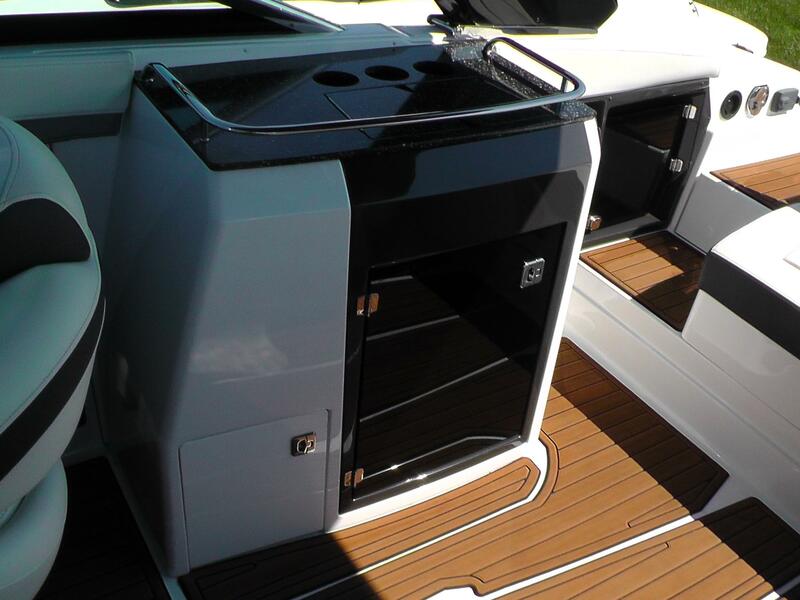 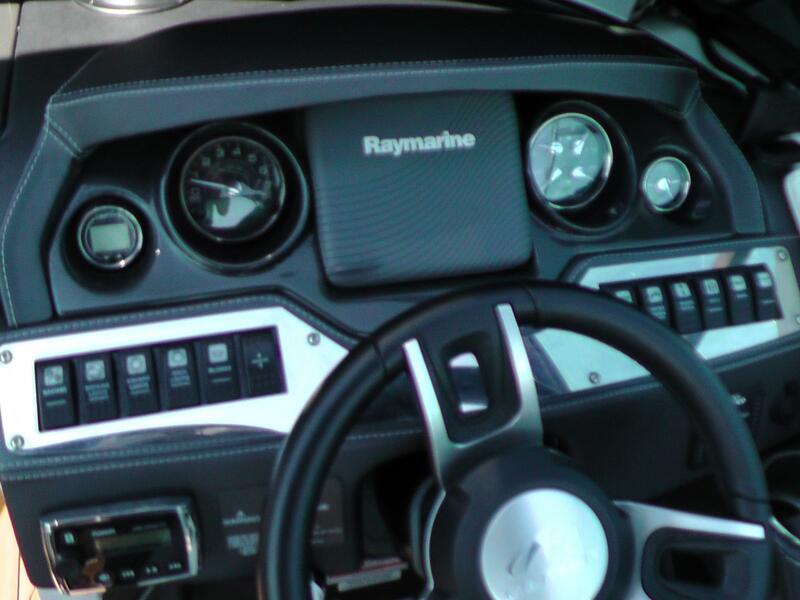 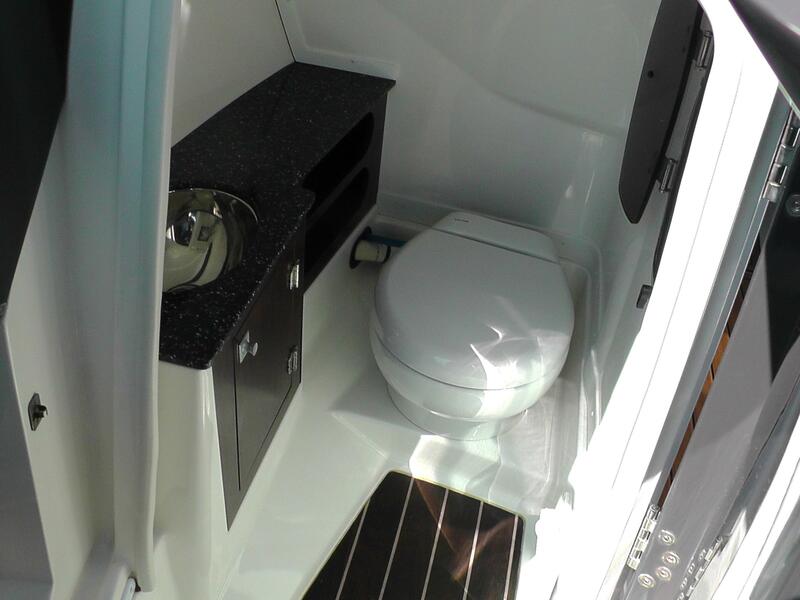 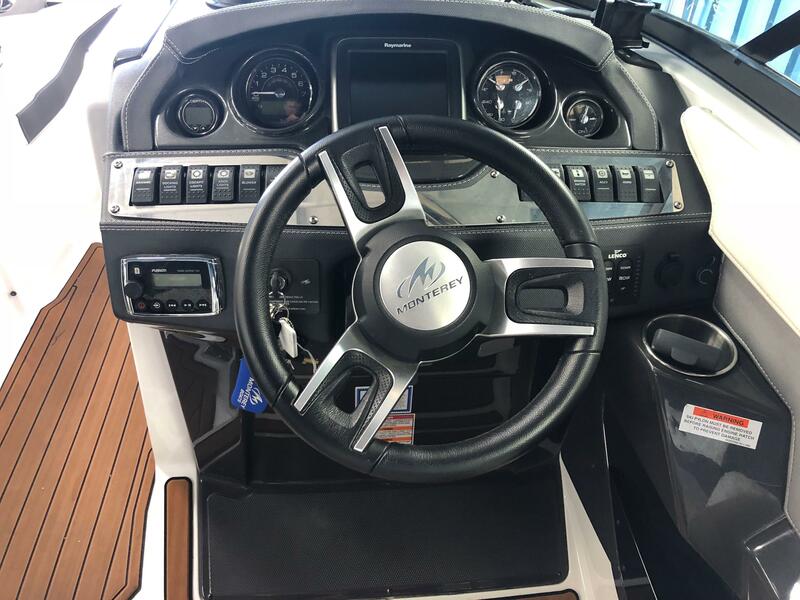 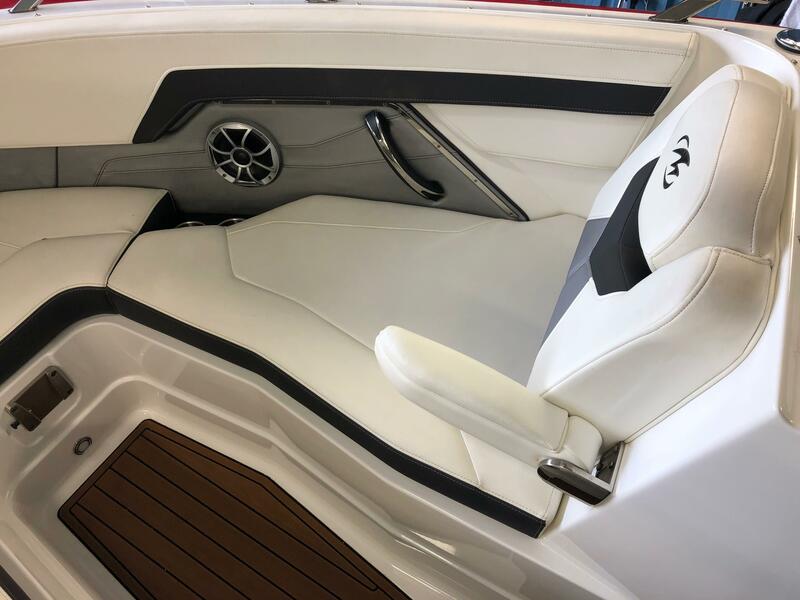 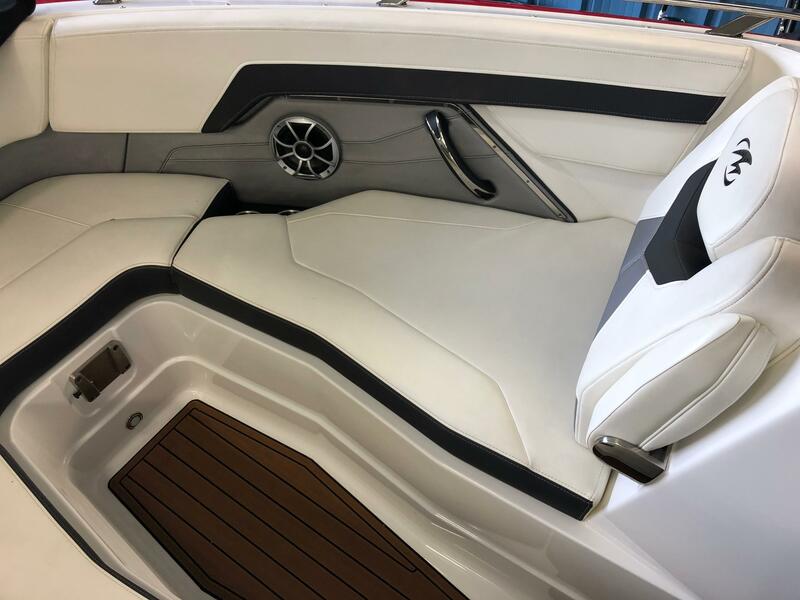 Features also include; Windlass w/ Anchor/Rope/Chain, Docking Lights, Portside SS Head Wall, Electric Arch w/ Bimini, Ski Pylon, Cockpit Wet Bar, Seadek Inlay Throughout, Underwater Lights, Transom Shower, Bow and Cockpit Covers, Cockpit Table, Raymarine R67 GPS w/ Wifi, Stern Stereo Remote, Stereo Upgrade/AMP/Speakers/SUB, Bow Filler Cushions, Dual Batteries w/ Switch, Battery Deck Plug for Charging, Electric Head System w/ Holding Tank, Macerator w/ Overboard Discharge, Trim Tabs w/ Indicators, Tandem Axle Custom Welded and Painted Phoenix Trailer w/ Chrome Wheels, Matching Spare, Vault Bearings, Swing Tongue, Disc Brakes, and LED Lights.